Following two hilarious trailers for The Muppets sequel caper Muppets Most Wanted, we have a new international poster for the film that chooses not to use the human stars like Tina Fey and Ricky Gervais to sell the film. Instead, Disney is using the recognizable Muppet characters like Kermit, Miss Piggy, Fozzie, Gonzo, Animal and even Dr. Bunsen Honeydew & Beaker to get audiences excited. 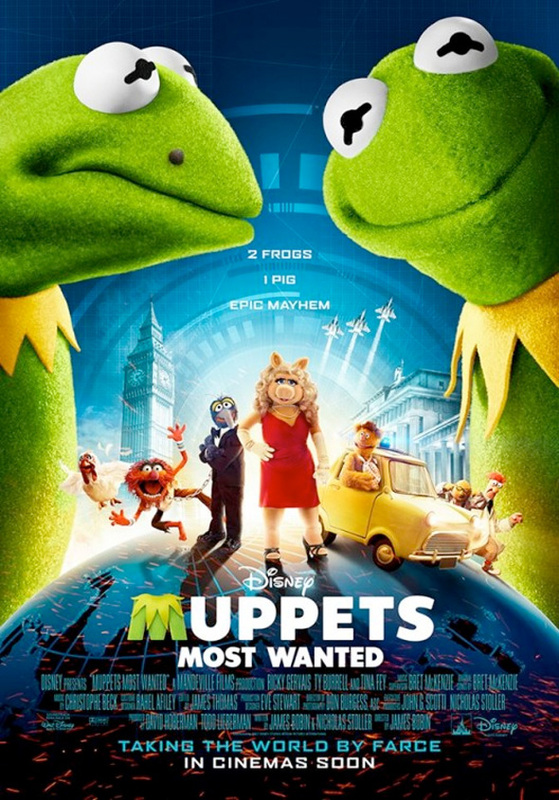 They all appear on this Jason Bourne style poster that features Kermit and his thieving doppleganger Constantine facing off. It might be hard to top the return of The Muppets from 2011, but the sequel still seems like it'll be a good time.